A large warbler. Adults have concentric barring on underparts, and a yellowish iris. A long tail with white corners when spread upon landing. 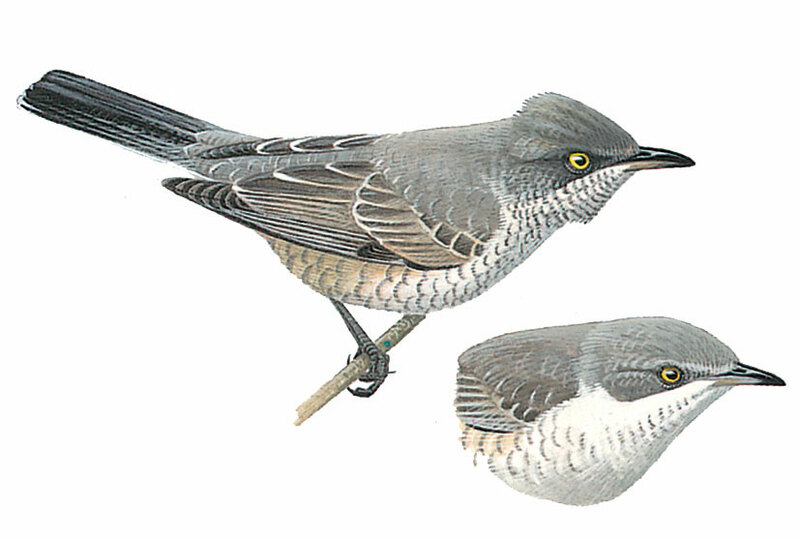 Tips of greater coverts and tertials are whitish. Some dark barring on undertail coverts. Usually keeps hidden in bushes. Movements are rather heavy.